Complete the form below to submit questions or topics for consideration for the forums. All questions will be considered, combined in similar topic groups if need be, and vetted so as to eliminate any indication of favoritism or partisanship. Candidate forums are free and open to the public. 106 N. 54th Ave. E.
The Voter Service Committee Needs YOU! New this year, LWV Duluth has updated the “open chair” policy to ensure that every candidate has an opportunity to participate in candidate forums. In order to respect the time and interests of voters and candidates who attend, even if only one of the candidates in a contested race is in attendance, each candidate present will be allowed to present her/his views to voters. This new policy was adopted by the LWV Duluth Board in September, 2014. 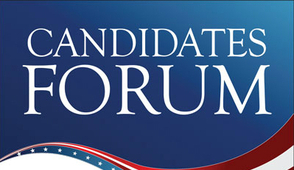 The format for the forums consists of a series of questions posed to each candidate. Questions prepared prior to the forum will not be made available to the candidate prior to the forum. The audience will be encouraged to provide questions that evening.